When a manufacturer is building a new product, they may find that a die casting part is a good fit for all or part of the application. The die casting process is capable making products with intricate shapes, thin walls and can meet pressure tight requirements. In higher volumes, die castings are very cost competitive due to their short cycle times relative to other processes. 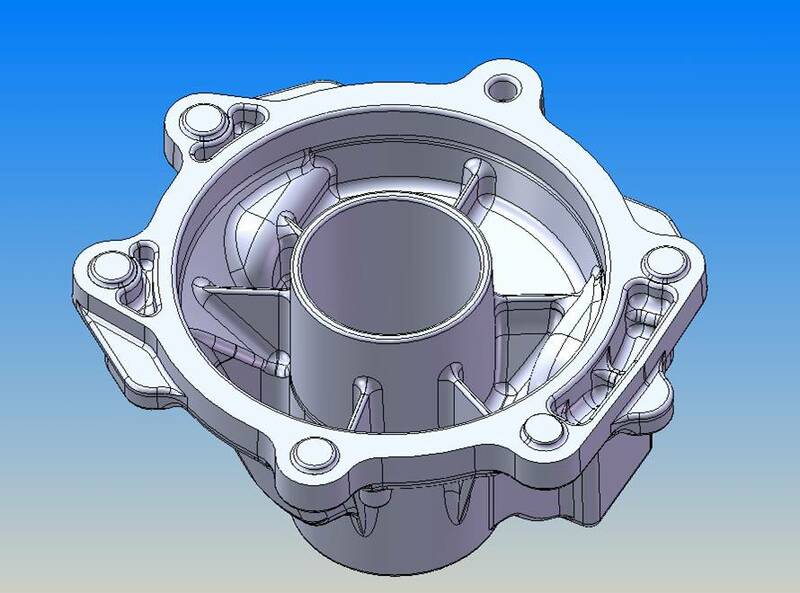 In designing a part intended for die castings, many different aspects of the part must be evaluated including wall thickness, draft, machining locator placement, etc. Working with our experienced die cast engineers early in the process can reduce cost and potential quality problems. Our design involvement encompasses the total environment of a customer’s product. Consideration is given to the casting process, machining and finishing processes, assembly issues, interfaces with mating components and how the product is perceived by the final end user. Time spent early in the design phase translates into valuable benefits for our customers and ourselves. After the die cast tooling has been manufactured, it must be sampled and tested to verify that it produces parts which meet product requirements. Basic has significant die casting experience and can assist manufacturers in this process to ensure that part deadlines are met in an economical fashion while meeting part quality and functional requirements.